Are you planning a career in nursing? Then you must be in search of a good nursing school. There has been a huge demand for nurses in the last ten years so opting for this field is a good idea. This article will give you tips that can help you in finding the best nursing school. Know what you want to do once you get into a nursing school. 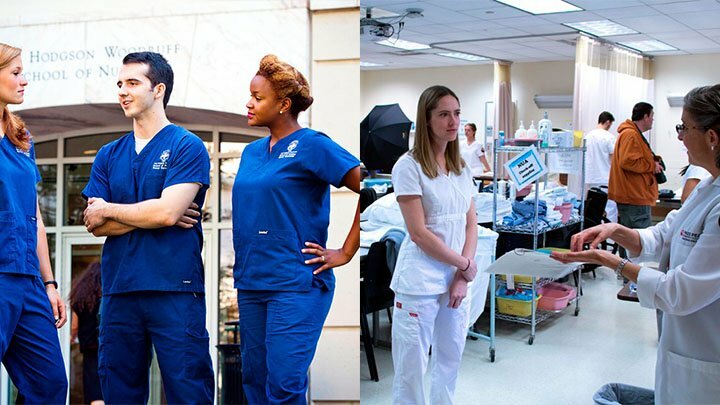 There are endless options to specialize in such as psychiatric nursing, critical care, community nursing etc. Look up which field interests you the most. If you are athletic then you can go into sports medicine nursing. I f you feel that you can handle stress well and like working in a hospital then go for an emergency nursing position. If you want a more relaxed environment then you can care for an elderly patient at their home. A lot of these nursing schools regularly update their websites. Keep looking there for information. You learn a lot from a school’s website and you can always email them regarding additional information. Most nursing schools want committed individuals which is why they ask a lot of questions during the interview. The might ask you what kind of nursing degree you wish to pursue and why you are applying. Be ready with the answers and let them know that you want to pursue your Bachelor of Science in Nursing as well. This will give an upper hand. Follow these tips and you can surely end up at the best nursing school.